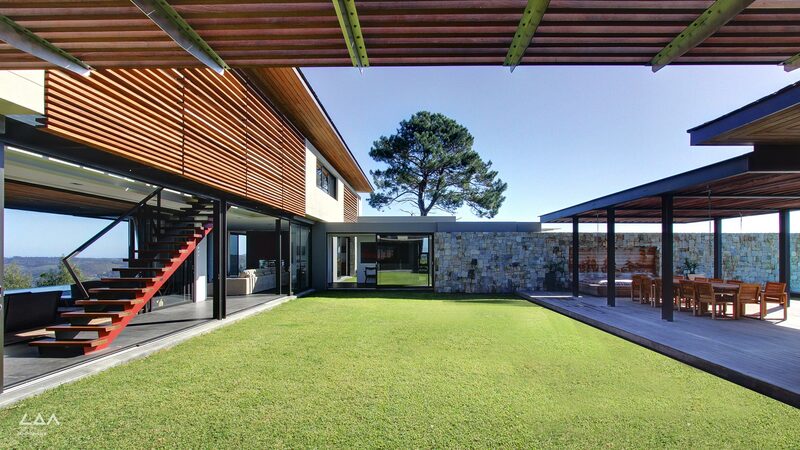 The River Bend House is a single residential development set on the highest edge of the Simola Golf Estate in Knysna, Cape Town. 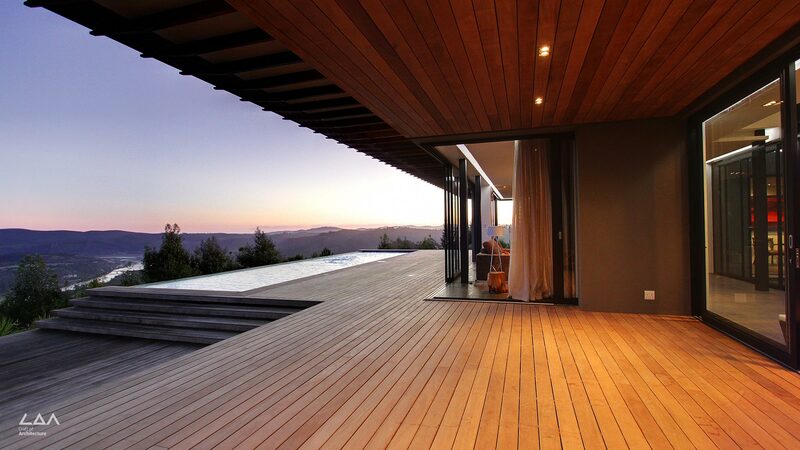 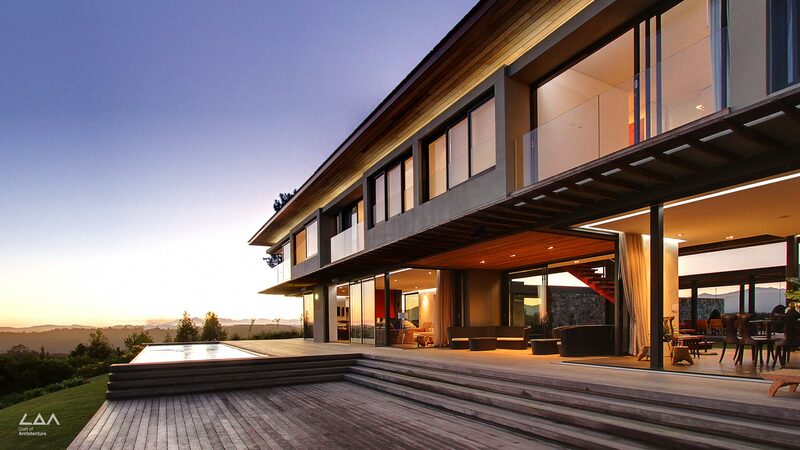 It has 180 degree views of the Knysna River below and the Outeniqua Mountain Range behind. 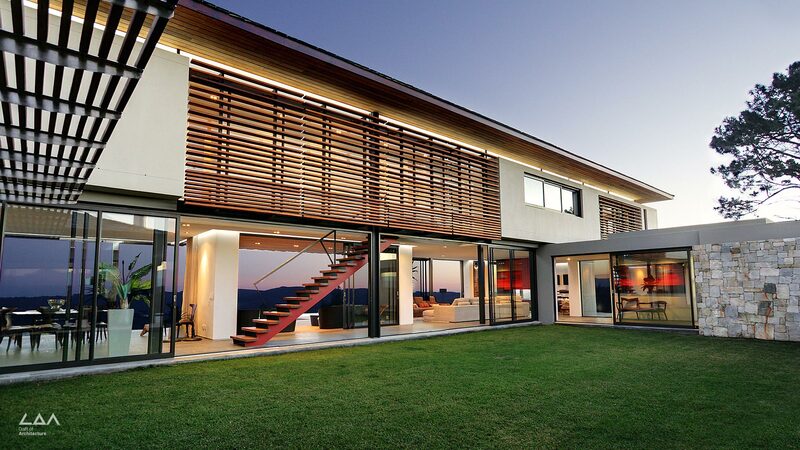 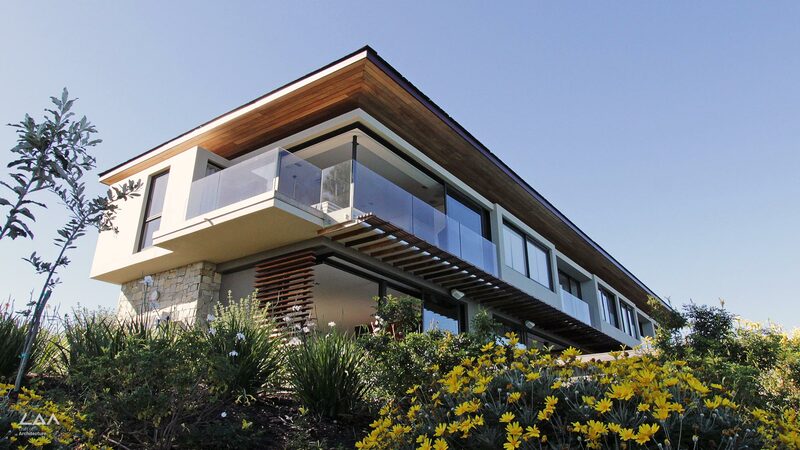 This home maximises views and the sunlight using passive design principles.